What is a balanced diet? Scientists call for new approach. Scientists call for a new way to define balanced diet. Leading nutritional scientists are calling for a radical re-think in the way we understand diet that looks at how mixtures of nutrients influence health rather than nutrients in isolation. 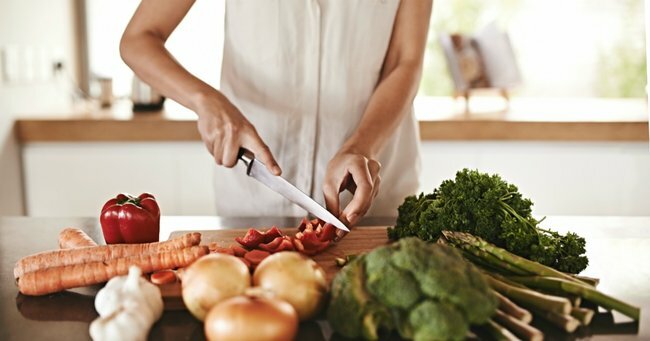 Researchers at the University of Sydney&apos;s Charles Perkins Centre have developed a new framework for nutritional health that looks at the links between certain diets, health and disease. Professor Stephen Simpson, academic director at the centre, said focusing on a single nutrient had worked in the past, such as helping to solve problems like micronutrient deficiency. However, he said when it came to understanding the problems of over-nutrition issues, such as obesity and diabetes, a focus on single nutrients as the culprit, or cure, would not work. "Identifying the fact that if you didn&apos;t eat enough vitamin C in your diet you ended up with scurvy, and if you added vitamin C in sufficient quantities, you didn&apos;t get scurvy," he said. "That was a single nutrient approach that worked. But when it comes to trying to understand the problems of over-nutrition, obesity and diabetes for example, focusing on single nutrients as the culprit or perhaps even the cure of these conditions, it doesn&apos;t work," he said. "And that&apos;s where we need a new way of actually defining diet balance." Professor Simpson said he had devised just that, calling it "nutritional geometry" — the culmination of more than 20 years of research with his colleague, Professor David Raubenheimer. He said the framework considered how mixtures of nutrients and other components of diet influenced health. One example, Professor Simpson said, was the trend of demonising fat, carbohydrates or sugar in isolation as causes of the obesity crisis. But he said that approach had run its course. "What it does is it says &apos;okay, a diet that is to be healthy has to comprise certain amounts and ratios of different nutrients&apos; and there&apos;s a large number of nutrients we require to be healthy," he said. "But if we can simplify the numbers of nutrients that we concern ourselves with, we&apos;re able to then identify foods and the quantities of foods and the ratios of foods in our diet that would help achieve that balance. "And we&apos;ll be able to also quantify the consequences, including the health costs of being in dietary imbalance." Professor Simpson said the new model would help people to better understand the links between certain diets, health and disease. To reach that point he examined 116 different diets and how they affected human health. Aloysa Hourigan, a Queensland nutritionist from the community health organisation Nutrition Australia said the old-fashioned food pyramid could still be a helpful tool. "This new model is not talking about &apos;don&apos;t think about food groups at all&apos;, but it&apos;s saying &apos;let&apos;s not focus on fat and sugar and sodium as the big culprits or have you got enough iron&apos; exactly. "So I guess if this new model progressed, there might be a case for revisiting the other food selection guides that are around." The framework has been published in the Annual Review of Nutrition. How do you manage your diet?